Samsung has gained most of its fame in the smartphone arena through the Galaxy S devices that has been released in a span of 4 years with the latest Galaxy S5 to hit the markets soon. 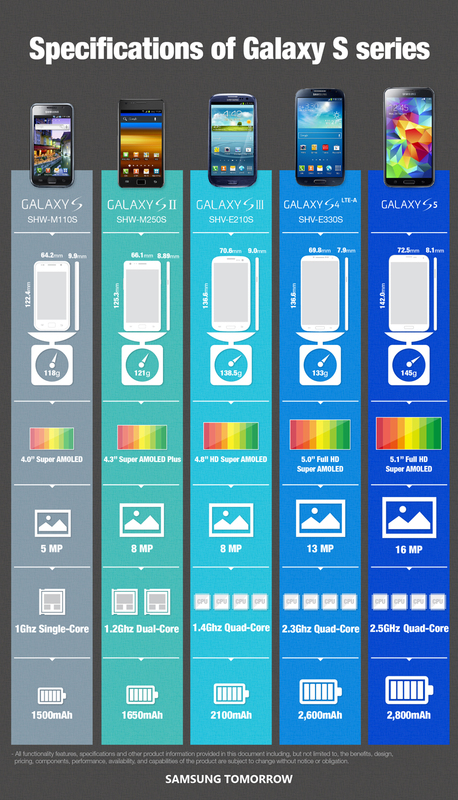 From the infographic below, thanks to Samsung Tomorrow, we can clearly see how the smartphones started evolving from very simple specifications to the high end ones. From 4.0 AMOLED display, it has now transformed to a whopping 5.1 Full HD Super AMOLED display that we actually never ever imagined of having 4 years back. Same goes for other features such as hardware, battery, camera and the processor. 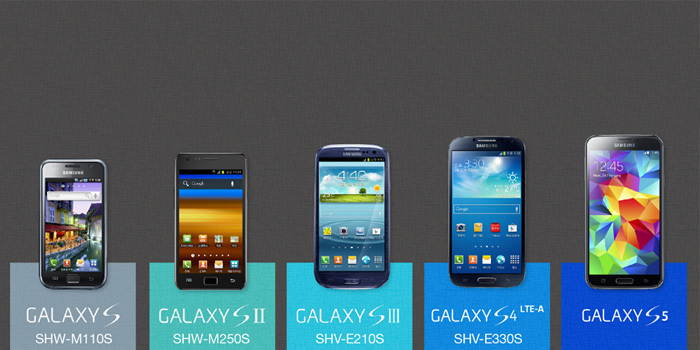 Have a look at the info-graphic below to see how the Galaxy S series smartphone changed over the years.